Here the classic debate between tradition and economies continues. First of all, there are many producers who do not blend in the classical sense. This means they do not blend eaux-de-vie from different crus, so Grande Champagne is forever Grande Champagne and so on. What they might do is to blend eaux-de-vie from the same cru but from a different year or different vineyard. The purity of the cru is preserved and, in most cases, such blending is very hard to detect! 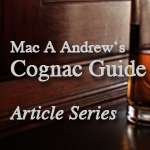 We also suggest that it is not a critical factor in assessing a single cru cognac. In all fairness, it needs to be mentioned that some old houses which still have pre-phyloxera eaux-de-vie do blend them into their top of the range products. The distinction is important as these old eaux-de-vie were primarily made from Folle Blanche grapes, but geographically within the current definition of crus. In this category you will find Cognacs from, for example, Frapin and Ragnaud-Sabourin. these are Grande Champagne products. Among them are Forgeron, Bouju, Les Antiquaires du Cognac, Ragnaud-Sabourin and Leopold Gourmel. The boise addition can be powdered oak, shavings or infusion, and it is added during the ageing to accelerate boise and give the eaux-de-vie more of a tannin look Ca very dark colour) and taste. This process is very much the producer’s secret and very few will admit to it. 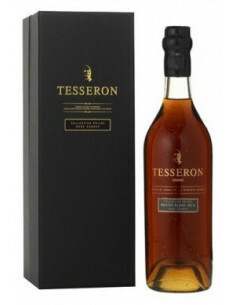 The majority use this to blend an “oaky” eau-de-vie with other natural eaux-de-vie. But there are exceptions: Daniel Bouju, we believe, is the best at making a bois Cognac. 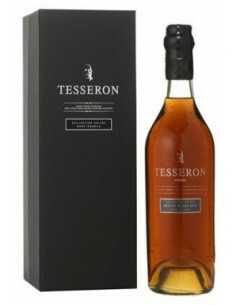 His Cognac Royal Cat 60% volume) and his Cognac Fut de Brut Cat 50%) are unique – in a class of their own. As with all Cognacs, it is a question of personal taste, but when you try Daniel Bouju’s products, you will find magical aromas and tastes. Do not forget to add an ice cube and the explosion of aromas will take you on an unforgettable journey. We believe that there is nothing artificial in the process of using bois. to age Cognac, but it must be done well. Sugar is added to adjust taste, and to hide the aggressiveness of young eaux-de-vie. Up to 3% of the volume can be added. It is also done to manipulate the taste for certain markets: Japan and Germany, for example. crus? The answer is that you should drink both! The single crus, as we mentioned above, are unique in bringing the characteristics of the cru to the forefront. Grande Champagne will be more flowery; Petite Champagne will bridge flowery and fruity aromas; Borderies will have strong, specific perfumes; Fins Bois will be more fruity and Bons Bois will be more aggressive, more salty and so on. This, of course, assures that Ugni Blanc grapes are used in the harvest. When you begin using Folle Blanche, as in a recently-introduced Gautier product, Madame Cognac, or Montils in some of the Chateau de Beaulon products, those characteristics will change. 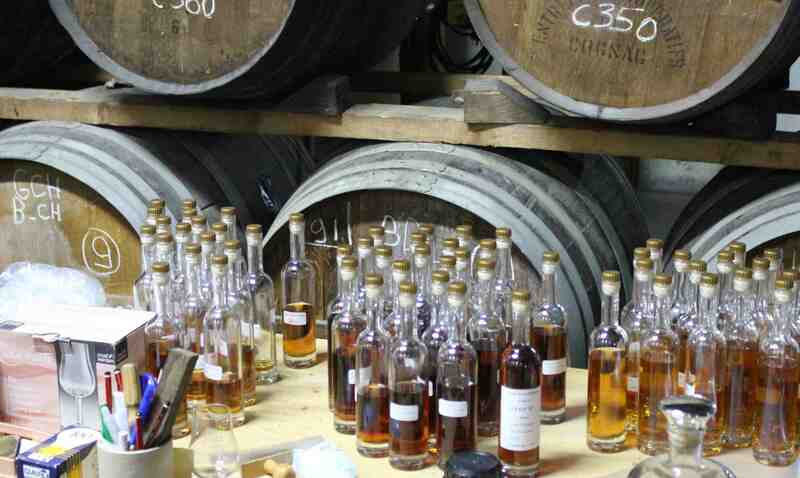 And yet, the highest sales of Cognac are recorded by four Cognac houses, the “big houses”. They are Hennessy, Martell, Remy Martin and Courvoisier. 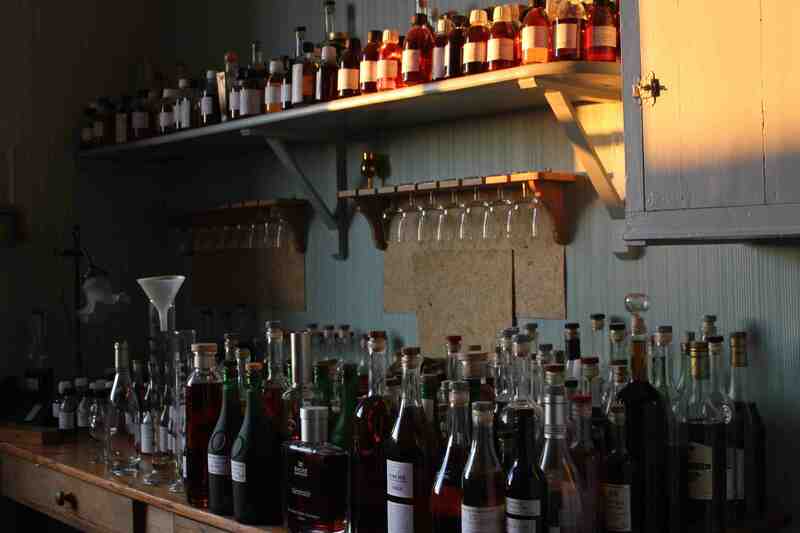 With some minor exceptions, they all sell Cognac blends. This is not only because they have strong marketing organisations and a world-wide reach, it is also because they make many, very good Cognacs and have developed their own signature blends. Here is as good a place as any to mention and honour maîtres de chais. These men who either have made, or are still making, the best of Cognac. Each of them is a professional of encyclopaedic knowledge of what is in his chais. We suspect that they walk through the chais and have quiet chats with the barrels and their eaux-de-vie. There are formulae written of which cru, which distillery, which year to blend or prepare for the market. They make “pattern” samples, they make “master” sampIes; they decide how much of which cru to blend, or how much of the same cru, but different vineyard or different age, to blend; when to cut and how to cut the alcohol content; whether to add caramel for colour, or boise or sugar for taste. But, in the end, it is the maître de chai’s unique know ledge and skill that brings it all together, year after year. The following is a small list of the best, in no particular order: Alain Braastad-Delamain of Delamain, Stephane Burnez of Prunier, Francois Chapeau, formerly at Martell, Daniel Dudognon of Ragnaud-Sabourin, Marcel Ragnaud, formerly at Ragnaud-Sabourin, Daniel Dumont, formerly at Courvoisier, Jean-Mare Olivier of Courvoisier, Olivier Paultes of Frapin (today Hennessy), Jean-Marie Normandin of J. Normandin-Mercier, Jean-Paul Carnus at Carnus, Philippe Camus, formerly at Camus, Maurice Fillioux, formerly at Hennessy, Yann Fillioux of Hennessy, Jacques Rouviere at Bisquit, Henri Exshaw, formerly at Exshaw, Michel Rouyer Guillet, formerly at Rouyer-Guillet, Jacques Roullet, formerly at Denis-Mounie, Pierre Voisin, formerly at Leopold Gourmel, Robert Leaute of Remy Martin and Georges Clot, formerly at Remy Martin. This list is by no means complete. 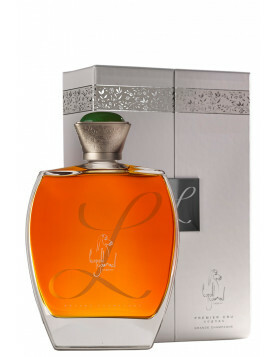 lt should also include the viticulteurs and distillers who bottle their own eaux-de-vie. And, it would be a sharne to exclude people like Max Cointreau, Gerald de Romefort, Bernard Hine, Bemard Lacroix, Bemard Eymard, Maurice Pinard, Patrick Brillet and others who still walk the chais and talk to their eaux-de-vie. Please remember: the texts of this series are from 1999.